Redmi series has always done well for the Xiaomi, be it in India or China. Keeping that in mind, Xiaomi has launched the new Redmi 3s smartphone under this sub-brand in its motherland. The smartphone comes in two variants and is currently limited to China only. Based on the information disseminated by Xiaomi at the launch event, here’s the Redmi 3s specifications, review and details regarding its availability and launch date in India. The budget series smartphone comes with a 5-inch HD IPS touchscreen display with resolution of 720x1280pixels. The Redmi 3s houses an octa-core Snapdragon 430 chipset which is clocked at 1.1GHz coupled with Adreno 505GPU. Other than this, it features 2GB RAM/3GB RAM and comes in 16GB/32GB storage options. The smartphone has a hybrid SIM slot which supports microSD cards up to 128GB. The dual SIM phone is aided by a 4100mAh battery which op paper should offer a good screen on time. It comes out of the box running on MIUI 7 that is based on Android Marshmallow. It supports 4G LTE, Bluetooth, Wi-Fi 802.11 b/g/n and micro-USB slot in connectivity options. Even though it packs a 4100mAh large battery, it still weighs just 144grams in total. In optics, it bears a 13-megapxiel primary camera and 5megapxiel front camera. Xiaomi hasn’t revealed anything about its plans to launch Redmi 3s in India. However, if it plans to launch this new budget smartphone in India, it will compete with likes of Lenovo Vibe K5, CoolPad note 3 Plus and LeEco Le 1s Eco. The Xiaomi Redmi 3s best price in India will be reveal only at the time of its India launch. For more news and updates on Xiaomi products and flash sales subscribe to Smartprix notifications. 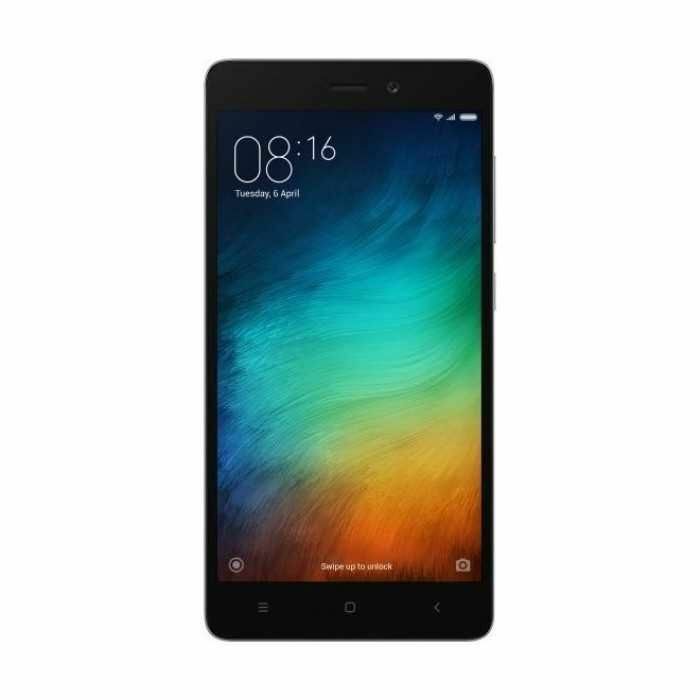 Xiaomi Redmi 3S is the last of the third generation Redmi's, soon to be overshadowed by the expected Redmi 4 premiere. Some may say the Redmi 3S is an obsolete addition to the series.The Redmi 3S follows the footsteps of its predecessors a premium metal shell jam-packed with features for a bargain price. This is my point of view for this Redmi 3s device. 1st in box content : Handset itself , power adapter (not a fast charger) , standard USB cable , sim ejjecter pin and some paper documentation. Here is my review for future buyers, Handset itself is very elegant in terms of looking. Processing power of this device is very much fast with comparison to its competitors. Also a nice vibrant display for the handset which absolutely complements the custom UI for xiaomi.Enough powerful​ battery for a long day.. call quality is also very good in all bands. Finally pros : 1. Nice optimized ui for speeding up the processor. 2. No lag is observed after one n a half month of usage. However some heavy games do lag by some frames. 3. Enough battery firepower to last a whole day with a decent usage. 4. Normal games are running smoothly. ( Except high graphics games) 5. Decent display. 6. Charging time is also ok for that kind of battery. 7. Cellular and Internet call quality is very good i'm getting on this device./ Also no heating issue observed on long duration calls. For Free Recharge and Shopping Deals and Buy Mobiles at Cheapest Price visit http://www.tricknshop.com Lets talk about some cons : 1. Handset itself. Its very sleepery / strach magnet/ if you are living in warm ambient then handset's Temperature is also gonna rise. 2. It has a decent back camera . Which can be better. However front camera shoots nice quality pictures. 3. No earphones are included in the box. 4. Graphics optimization is not good for heavy graphics game. However it can easily handle a decent graphics game. 5. Hydrid sim tray slot. ( You have to compromise with either one sim & 1 sd card or 2 sim cards ) Conclusion : If you're a regular user and u have a tight budget then this phone is best for the price. If you're a heavy gamer or a very passionate photographer then it might be a deal breaker. This is my review after one n a half month regular usage. Hopefully it helps to make your buying decision. 1. Nice optimized ui for speeding up the processor. 2. No lag is observed after one n a half month of usage. However some heavy games do lag by some frames. 3. Enough battery firepower to last a whole day with a decent usage. 6. Charging time is also ok for that kind of battery. 7. Cellular and Internet call quality is very good i'm getting on this device./ Also no heating issue observed on long duration calls. 1. Handset itself. Its very sleepery / strach magnet/ if you are living in warm ambient then handset's Temperature is also gonna rise. 2. It has a decent back camera . Which can be better. However front camera shoots nice quality pictures. 3. No earphones are included in the box. 4. Graphics optimization is not good for heavy graphics game. However it can easily handle a decent graphics game. Conclusion : If you're a regular user and u have a tight budget then this phone is best for the price. If you're a heavy gamer or a very passionate photographer then it might be a deal breaker. This is my review after one n a half month regular usage. Hopefully it helps to make your buying decision.